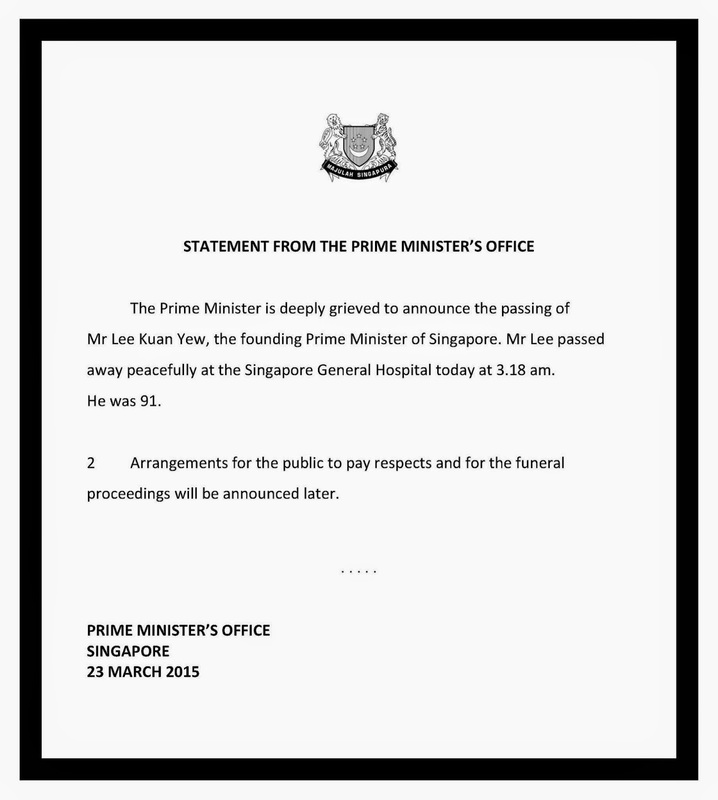 "Father of Singapore " LEE KUAN YEW Dies | My condolences to Prime Minister Lee Kuan Yew and family.Lee Kuan Yew , 91years ( September 16,1923 - March 23 ,2015 was a singaporean politican. 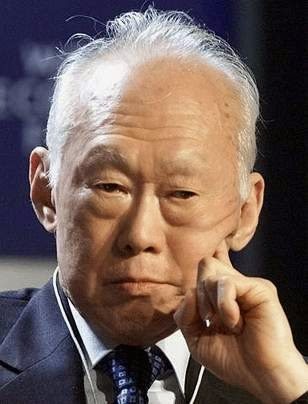 He was be singapore's Prime Minister for three decades (31 years). We was heard Prime Minister of Singapore was hospitalized several weeks ago cause pneuomia and today March 23 -2015, he died peacefull 3.18 am at Singapore General hospital.